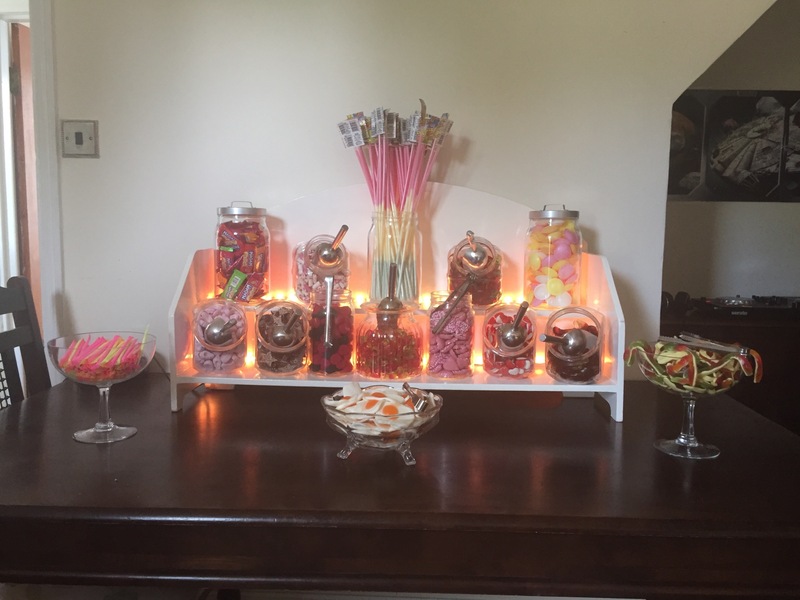 Sweet Stand, Weston, Bristol and surrounding areas. 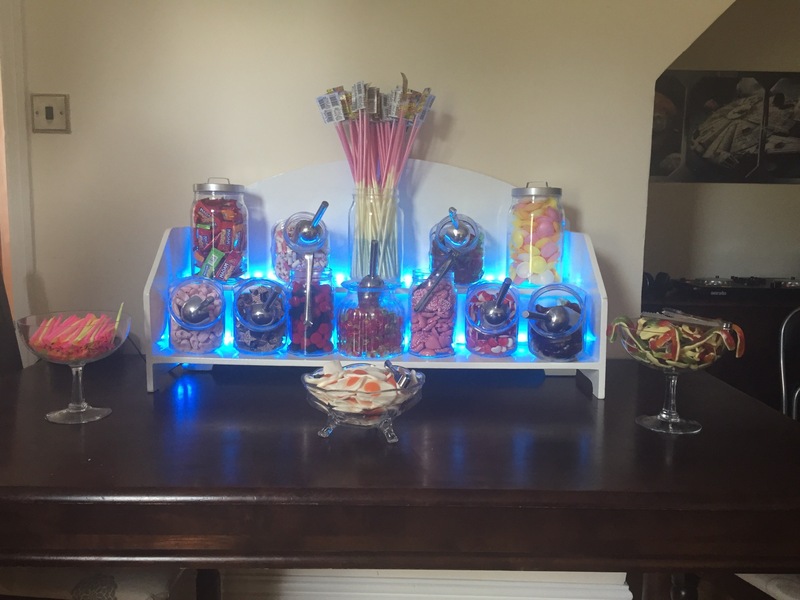 SMSounds are now able to provide a Fully Stocked Sweet Stand for your special occasion. 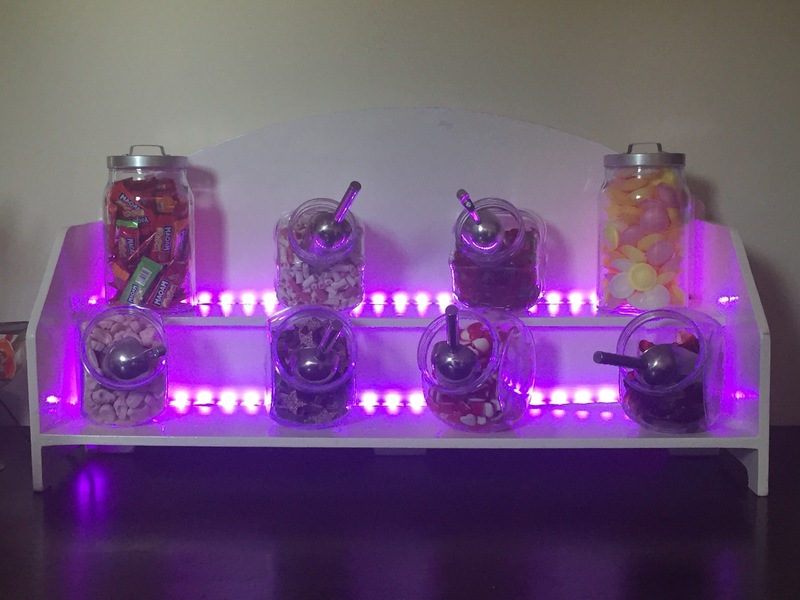 The stand comes with LED Lighting which can be changed to match your colour scheme. 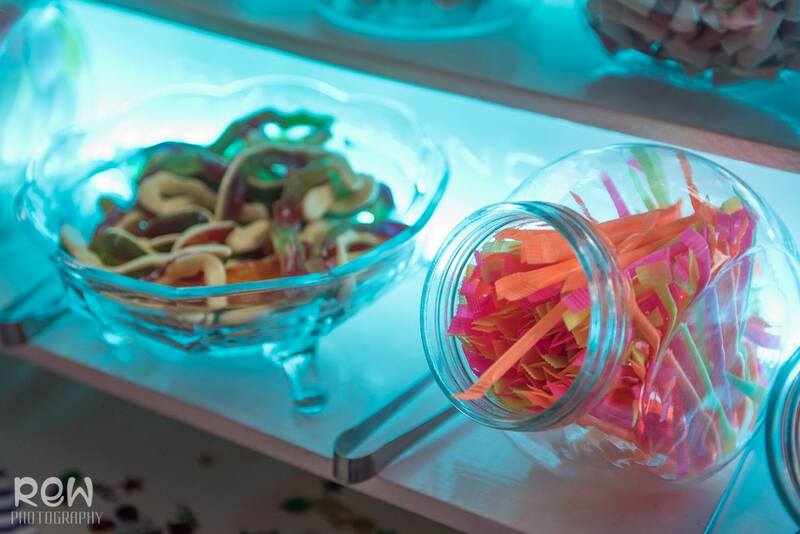 We include Tongs, Scoops & Sweet Bags. 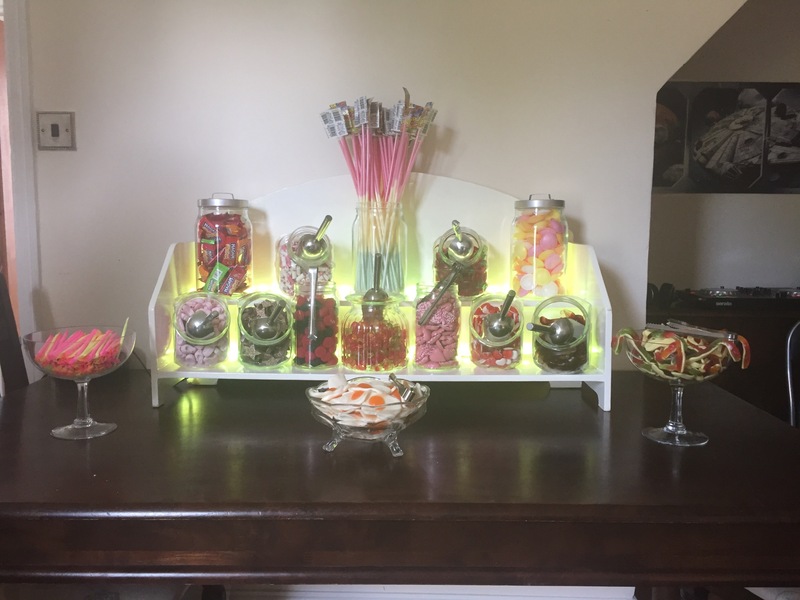 We can supply different packages with varying numbers of jars to suit your budget and your selection of sweets from our extensive range. All the sweets are then yours to take home with you as they a purchased specifically for your event. 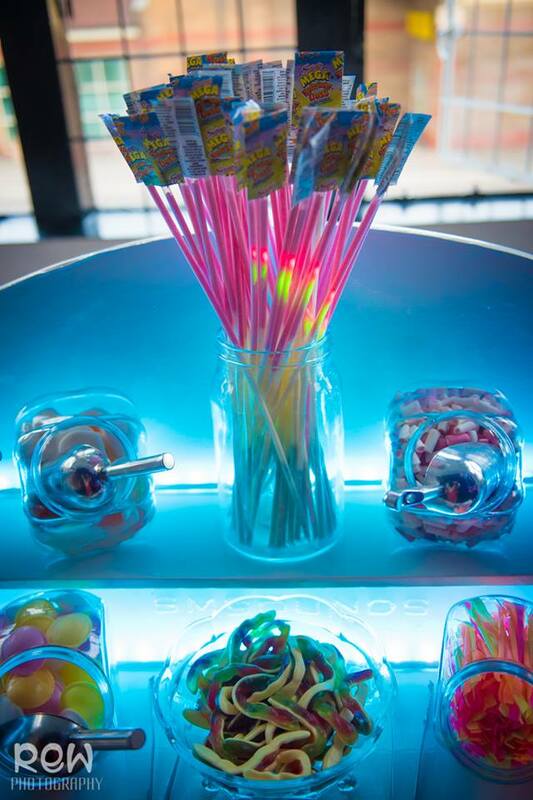 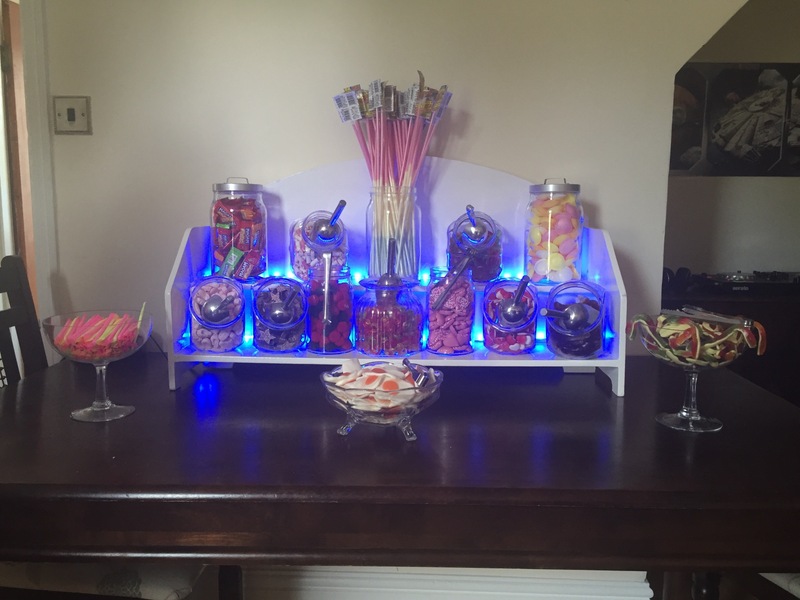 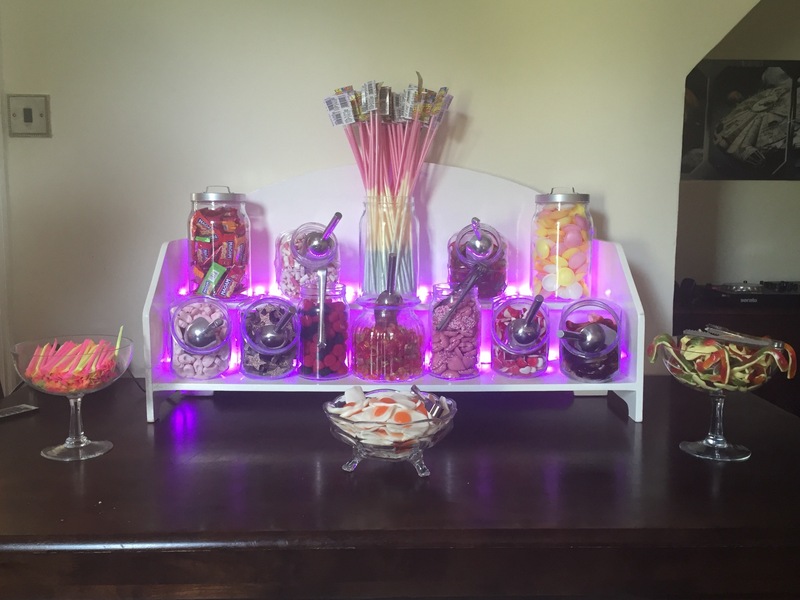 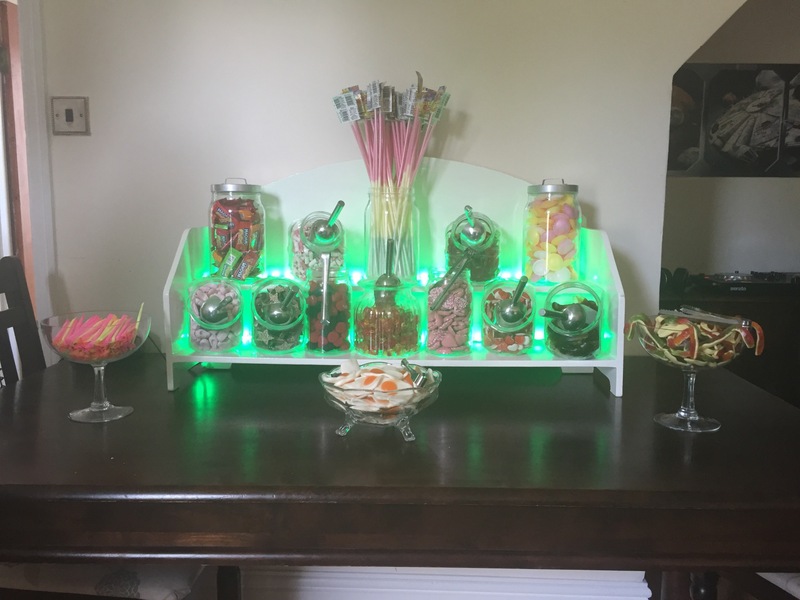 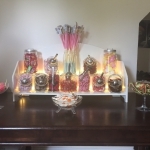 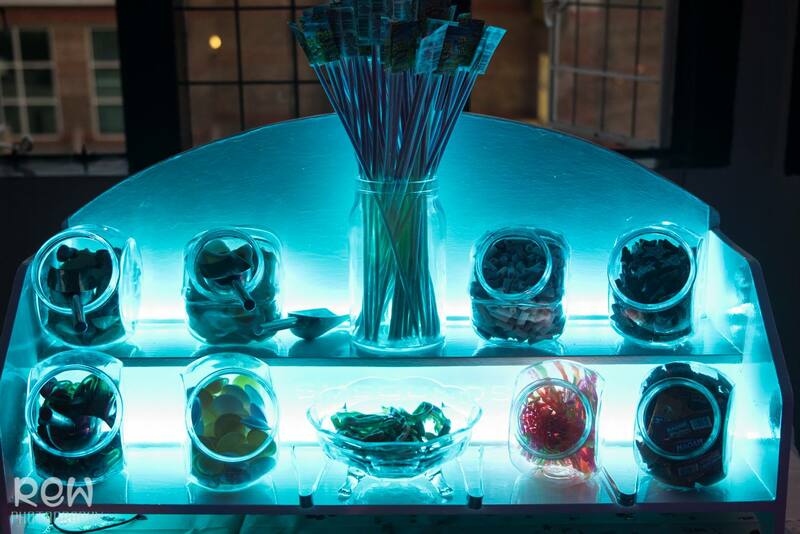 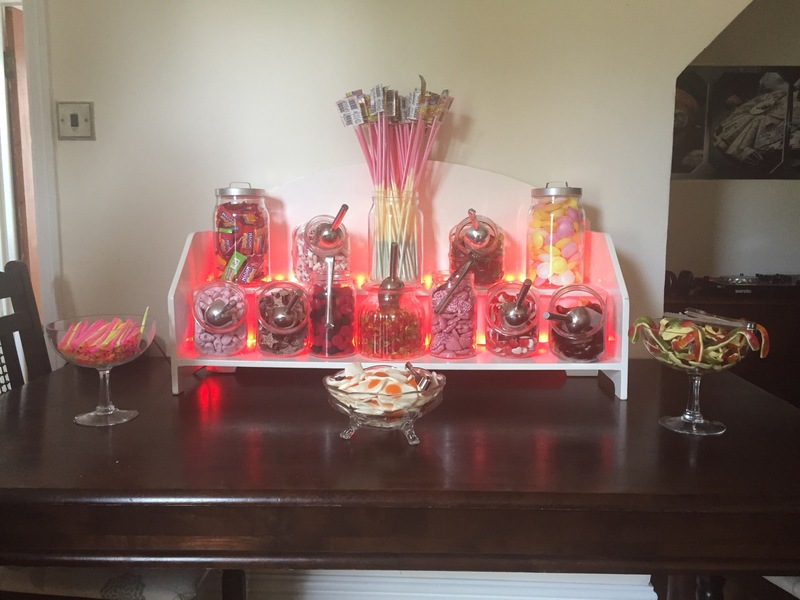 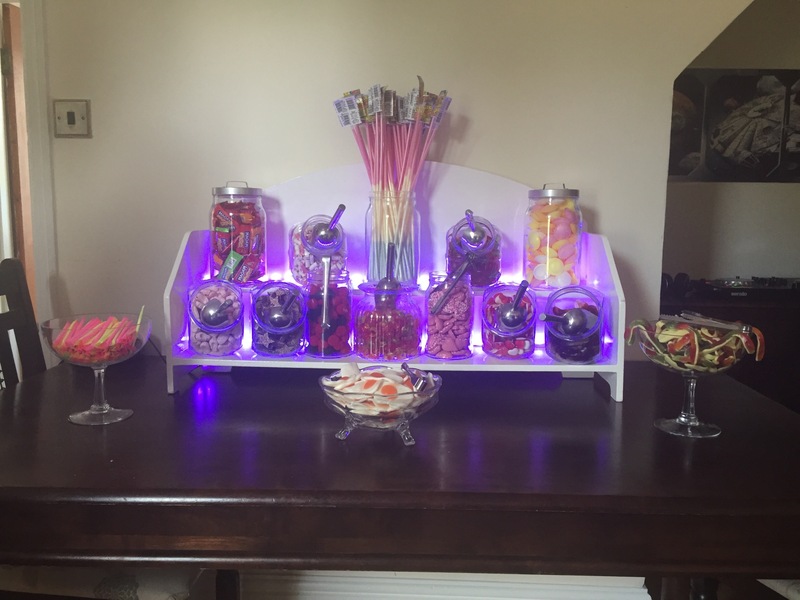 Our easy booking form can be found at the end of this page where you can select your required sweet stand package and the sweets you would like us to supply. 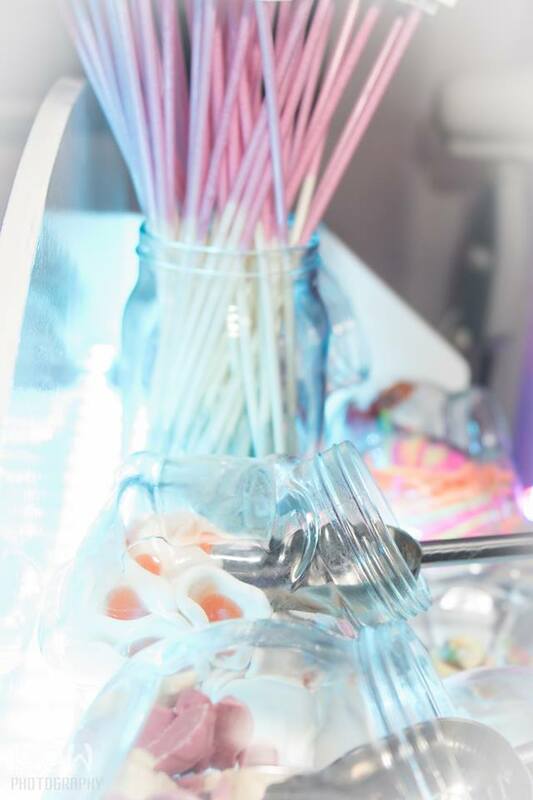 Please select your Jar Options from the drop downs below.